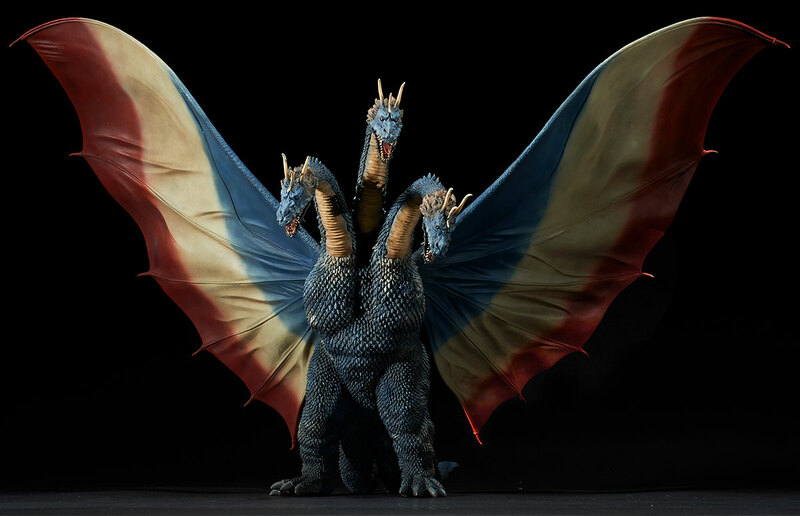 The Toho Large Monster Series King Ghidorah 1964 東宝大怪獣シリーズ キングギドラ(1964) is finally up for preorder! 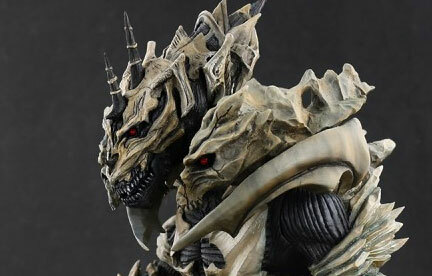 This figure was actually originally intended to be one of the first (if not “the” first) of the X-Plus Ghidorah releases. 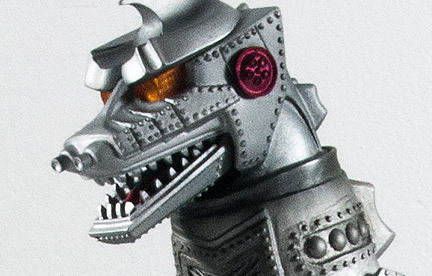 It was set aside to allow the 1968 version, which we’ve had for years now, to let collectors complete a Destroy All Monsters line-up in time for the 50th Anniversary. All good things come in time though. And right now it’s time for Ghidorah, the Three-Headed Monster!! Both flavors of the KG’64 will have height of about 39cm (15.3 inches) and whopping wingspan of 66cm (almost 26 inches!). That beats the X-Plus King Ghidorah 1968’s wingspan of only 62cm (24.4 inches). Also unlike the 1968 version, this new one has wings spread wider and slightly lower and sports all three heads high up in the air atop a body un-crouched and standing tall. 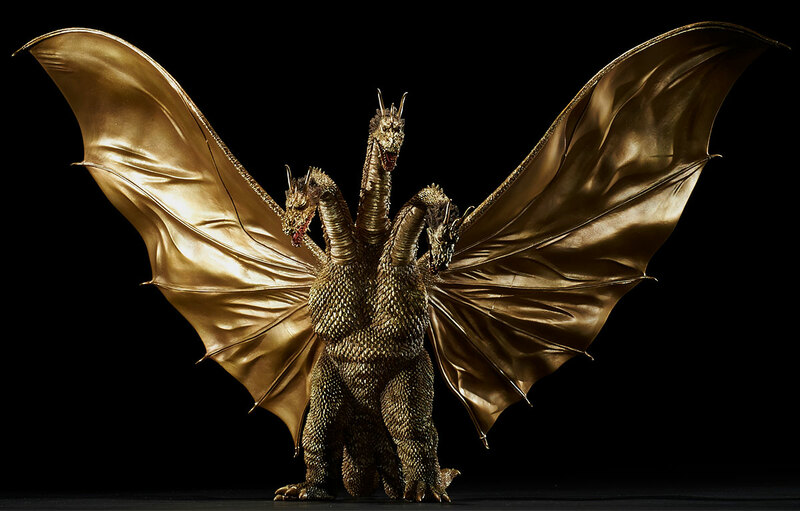 The Standard Version, no doubt the more popular of the two, features King Ghidorah in its golden colors as seen the 1964 film Ghidorah, the Three-Headed Monster (三大怪獣 地球最大の決戦). The RIC Exclusive version is the same sculpt but instead of the movie-accurate shades of gold, this one is doused in the suit’s original red, white and blue colors. 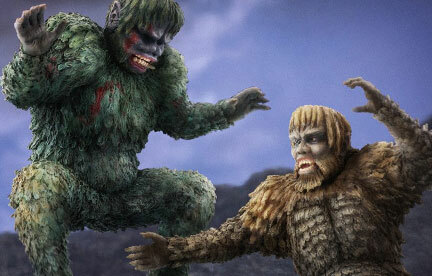 This coloring was abandoned before shooting the movie in favor of the gold. So if you’ve been scratching your head and wondering why you haven’t seen this version before, now you know. This version will run you ¥44,820 (currently $409) and is available only from the X-Plus Ric web store. The preorder window for the Ric closes on February 26. Both versions are expected to be released in May 2019. 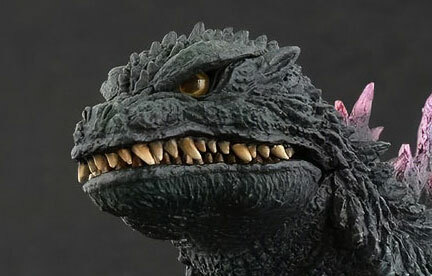 You can pair this figure up on your shelf with the previously released Large Monster Series Godzilla 1964 (REVIEW) and the Large Monster Series Rodan 1964. You buy the Large Monster Series Rodan 1964 (Now in Stock) at Flossie’s for $134.99.